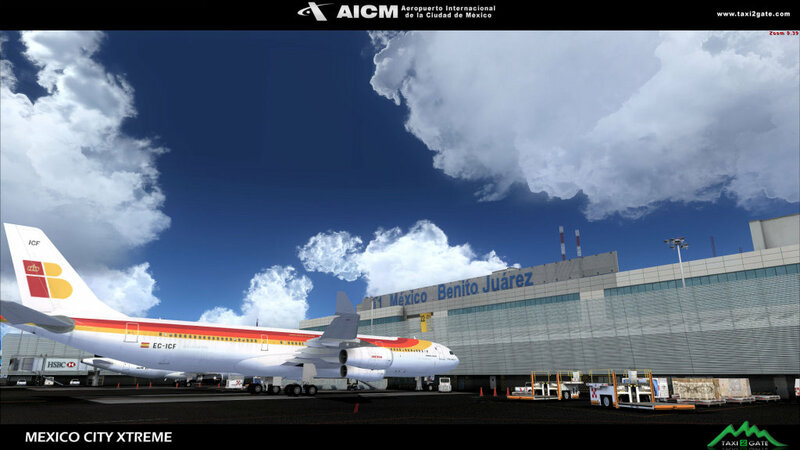 Is a commercial airport that serves Mexico City, the capital of Mexico. 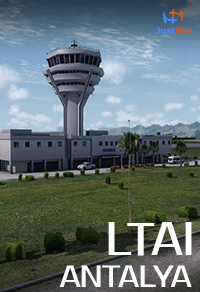 It is Mexico's busiest airport by both passenger traffic and aircraft movements and is Latin America's second busiest airport by passenger traffic after Guarulhos Airport in São Paulo, Brazil and the busiest airport by aircraft movements. Although Juárez was not its official name for several decades, it was formally named after the 19th century president Benito Juárez in 2006, and is Mexico's main domestic gateway. Many landable buildings around the city. 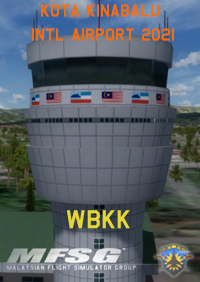 Purchased initially for FSX many years ago. Glad it works on FSXSE and P3D versions 1-4. Taxi2Gate never updated it officially for P3D. Still waiting. Ok, I’m gonna try to make the review that would have been very helpful to me by anwearing two simple questions I know lots of you are wondering... first, is it compatible with FSX SE? Absolutely, its compatible and simple as hell to install, almost like downloading a steam add on. 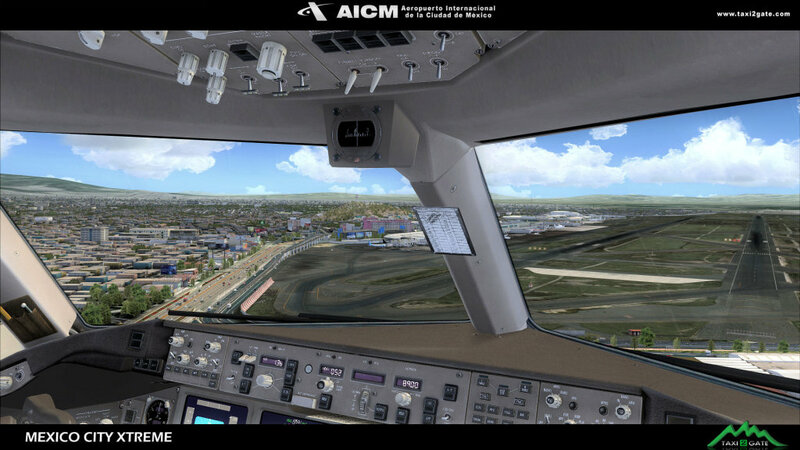 The only thing i can say is that, at least in my computer, it creashes when i activate the toposim mex, but thats no problem, if you have to choose, this scenary is the best pne you can have, its a 100% realistic, you will really be amazed of how beautifull i t looks and how smoothly it runs so... JUST GO BUY IT! 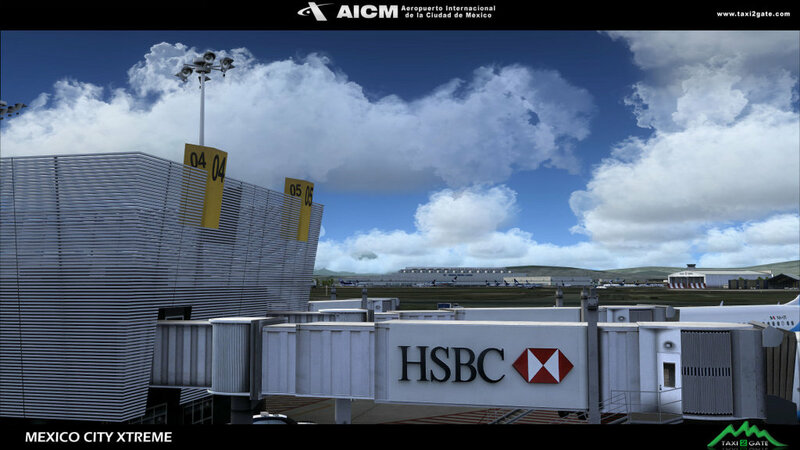 This is one of my nicest sceneries for FSX. I full heartedly recommend it. 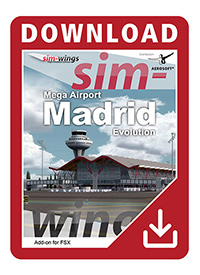 I have purchased it in April 2016 after all glitches were fixed by Taxi2Gate (can be downloaded from their website) and the airport and city are just fantastic! Approaching runway 05 one has a true feeling of being there because of the extensive city simulation beneath and the huge area with custom autogen. 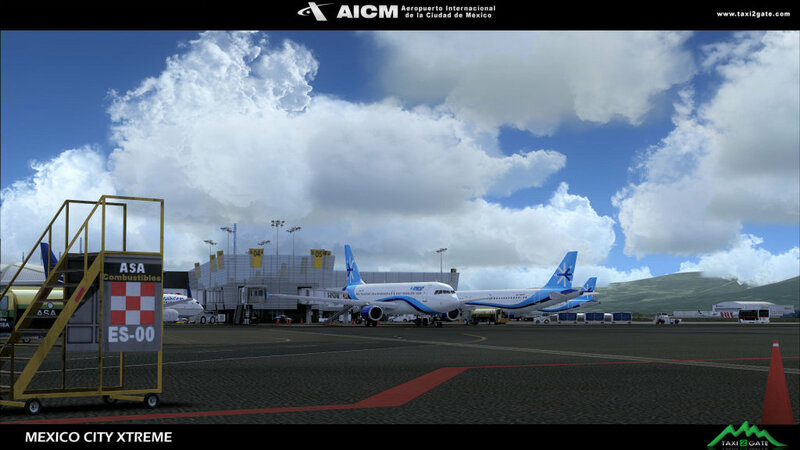 Performance wise it is a dream, no VAS or frame rate drops making MMMX a very suited destination of long flights. Just purchased this after much deliberation with regard to poor performance and UTX incompatibility. So I first checked the T2G website for updates and there they were there to address the crashing objects, the UTX compatibility, and a general update to version 1.1. I downloaded all of them, then purchased this awesome package. The installation was straight forward, but the general update needed guidance to place it in the FSX folder - it is set at default program files(x86) which is not where FSX should be in a Win7 x64 platform, so be sure to guide this update properly (I made my own folder and and named it "update 1.1", then transferred all the scenery files straight into the existing one - one cannot be careful enough and I have learned my lesson long ago to always see where things go, lest I pay the price!). With a top end system (i7 6700K @4.8Ghz, Nvidia GTX 980, 16Gb DDR4) and FSX on its own drive, this is still a hungry scenery package. My sliders were all full right (using the PMDG 777) and there were good FPS, but the autogen can cause a few loading stutters in full clear weather, but bring the cloud draw distance (or visibility - or reduce ai traffic) back some and it's very smooth for the amount of scenery you get. With ASN live weather, it's even smoother (visibility in Mexico City is almost always hazy). All in all, this is an excellent package if your system can handle it, or if you're willing to bring back some settings. 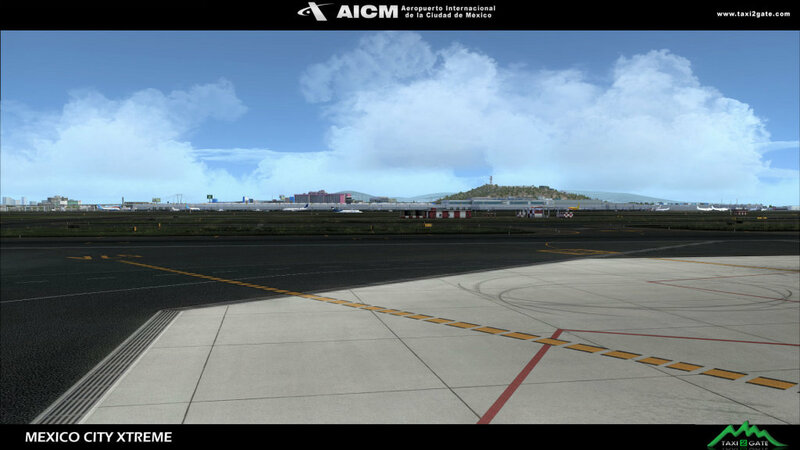 There's a lot of buildings here, including the city and I really look forward to flying my PMDG 777 in and out again. This is a great scenery. 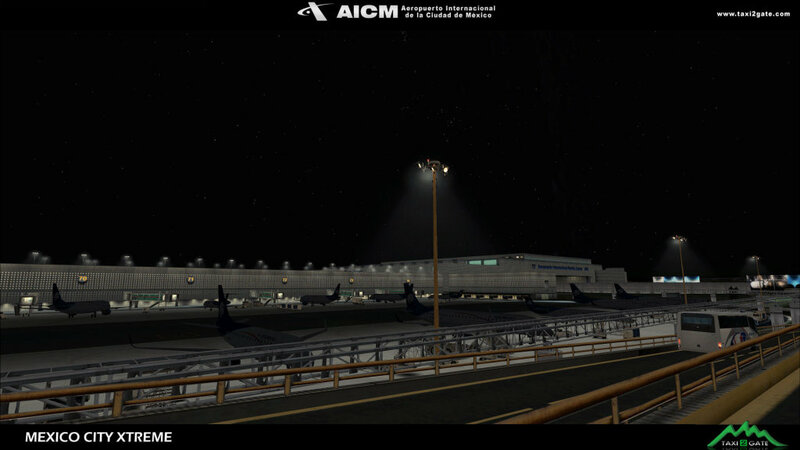 One of those that not only give you a great airport, but also the atmosphere with all the city buildings, etc. And at the special offer price you can't go wrong. Really glad I bought it. This is at the moment an unfinished product! Without the update, you get crashes with invisible objects. The update was hard to get due to the Taxi2Gate website being down (which is still down and has been for a very long time). This product is not compatible with UTX. If you have UTX, you get FPS of 5-8 (and I have a high end computer). The same happened when I purchased Taxi2Gate's MHTG airport. The first versions were bad, but after update it was a nice product. I have been waiting for a very long time now for the update, and if Taxi2Gate manages to fix all the remaining issues this could be a very nice product. But till then, I'm giving it just one star. At the moment it's definitely not worth buying! Well this is my first review after 10 years in this hobby. Go get it ! This is a combo between photoreal an Autogen and colours like i have never seen before. Well Done! awesome scenery, ignore the 2 low scores from people with low end computers and bad setups. This scenery doesn't crash. BUY IT! Just one and big problem. CRASHES, MANY CRASHES in all airport (gates and anywhere). Wainting for Fix (more than one month). I initially had a lower rating because of the number of areas in the airport with invisible building crashes. Tazi2Gate has drastically improved the quality of their products over the last couple of years. I've been to MMMX in real life, and I'm very impressed with the detail, realism and accuracy of this depiction. The surrounding cityscape with real satellite based photos is a nice touch. I only encourage the developer to thoroughly test products for the invisible building problem. They had similar issues when MHTG was released. 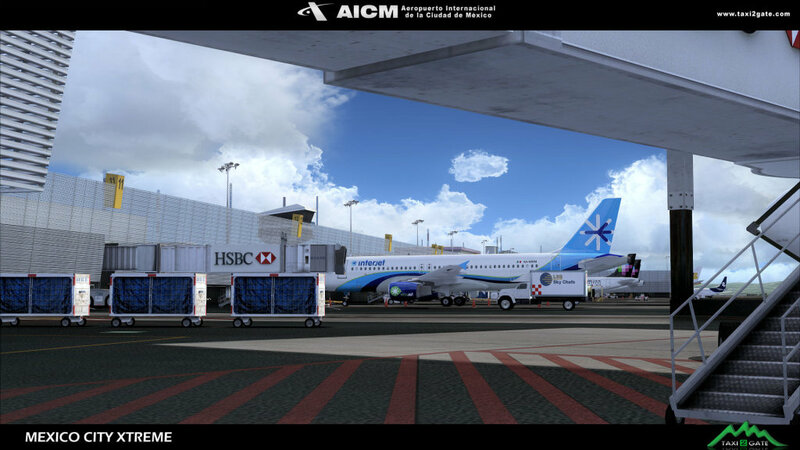 Just awesome scenery, it has so much detail for whole Mexico City area, yet the performance is just fantastic even with 100% UT2 traffic, way better than a lot of sceneries that include just airports give me. 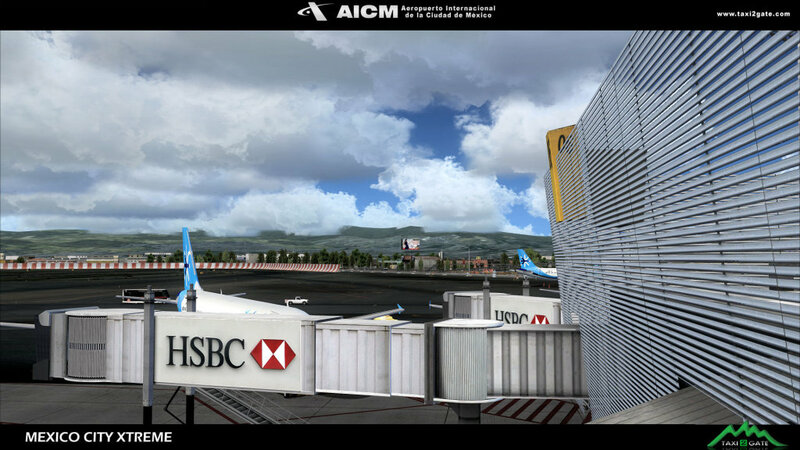 Taxi2Gate is definitely one of the top scenery developers out there, keep up the good work! Everything every one else stated. Splendid indeed! 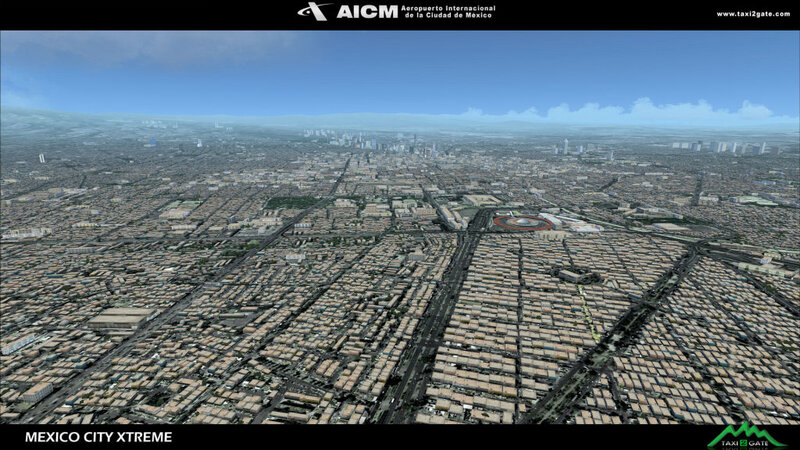 Looks great, the entire city is modeled realistically with plenty of auto gen. Awesome frame rates, you will not be disappointed flying the NGX into this airport.This may be the next great company in Flight Sim sceneries. One issue, you have to turn crash detection off for the scenery to work. Per the developer he's working on a patch. So not quite 5 stars until its fixed. This is definitely a scenery that you can't miss out on! Amazing job done by these guys. The most beautiful Scenery TAXI2GET! Buildings, roads, placed very accurate! Real! You won't regret it! My English is not very good ~ ~ I'm sorry, but this product is definitely worth to buy! Great scenery and very good for the FPS... I definitely do NOT regret this purchase! I'm not usually a spontaneous purchaser, but I took a chance with this after seeing the screenshots. I mean WOW! This scenery is incredible!!! I don't know how, but my frame rates are the same, if not better than the default FS scenery. These guys did an incredible job on performance, but the detail is out of this world! Very...VERY good!!! :-) Great to see an airport in this part of the world given the 5 star treatment! 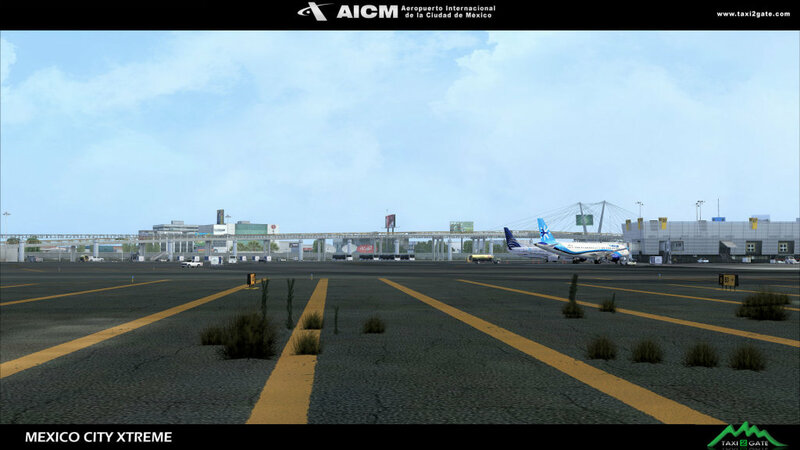 The best FSX scenery for MMMX until now. 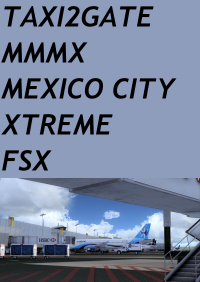 Excellent airport and details of Mexico City. 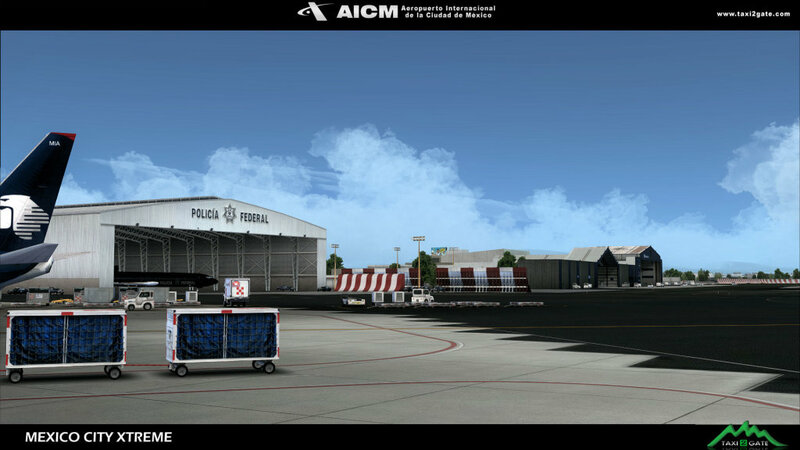 El mejor escenario FSX para MMMX, hasta ahora. Excelente aeropuerto y detalles de la Ciudad de México. This is a big step up for Taxi2Gate. The visuals are stunning. I've been to MMMX, and I almost felt like I was there. I will give it five stars when Cesar and co. fix the crash zones on some of the taxiways. I suggest more testing before release. This also happened with the MHTG initial release. 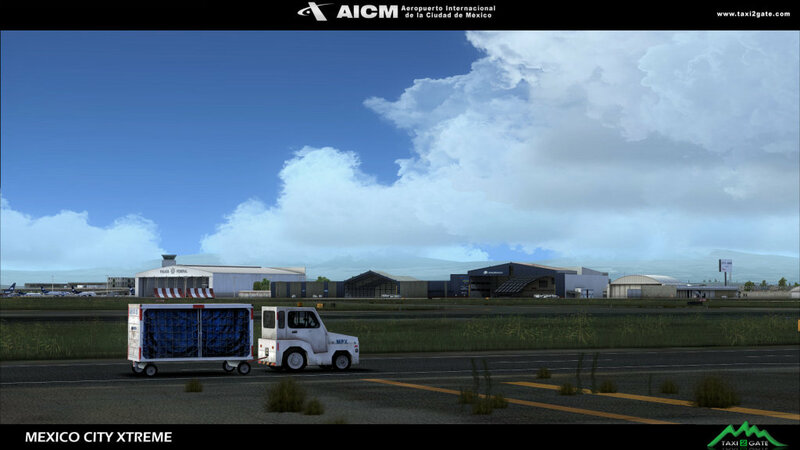 Very nice and detailed scenery. I only missed the Palacio de Hierro piramid building in Polanco district, maybe in a future patch. It made me remember the beautiful time I expend in DF time ago. I fully recommend the scenery !!! I bought it yesterday ,and I must say that this scenery is a piece of art!! 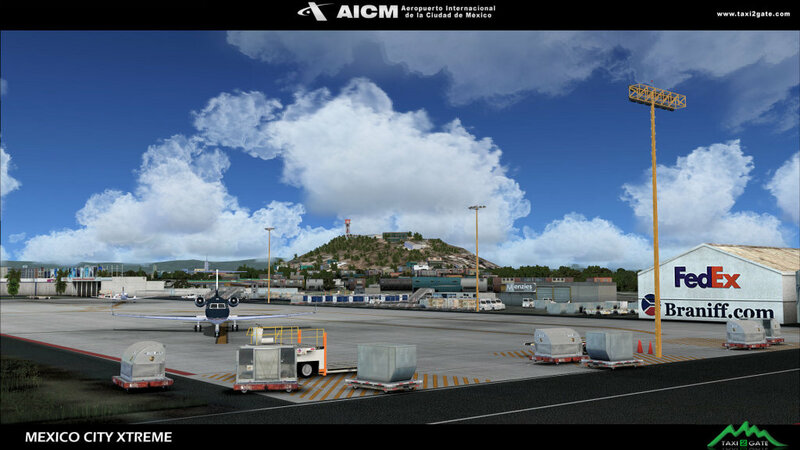 !Both, the airport and the city of Mexico, is just incredible! !I am so excited that TAXI2GATE give us a such wonderful scenery for this lovely city and country !!  !Give it a try! !You won't regret it!! A just simply AMAZING scenery!!! The city, the airport everything. So worth it!!! What are you waiting for?!?!? is simply incredible, worthwhile, the graphics are amazing, and to lack anything like this in Mexico !! Ok, I’m gonna try to make the review that would have been very helpful to me by anwearing two simple questions I know lots of you are wondering... first, is it compatible with FSX SE? Absolutely, its compatible and simple as hell to install, almost like downloading a steam add on. Second, I have no super special and expensive computer, I just have a 2Gb VRAM video card and like 3.2ghz but the scenry looks so complex, will my computer be able to run it? 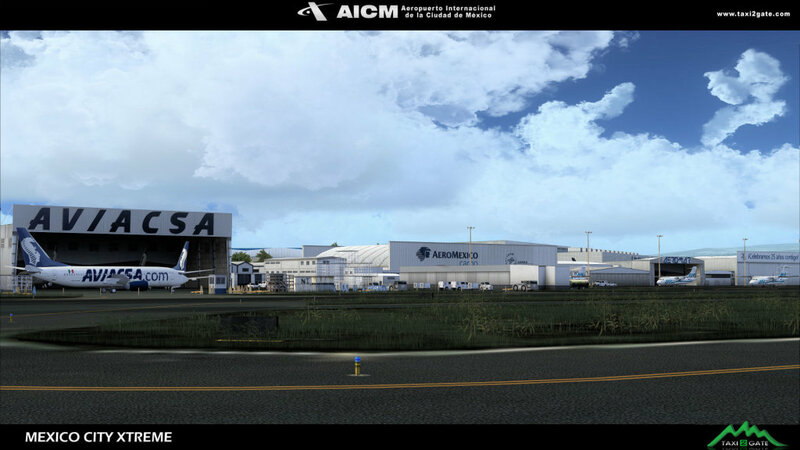 Then again, the answear is ABSOLUTELY, it runs with the maximun settings, as smooth asi if i it were default scenary... 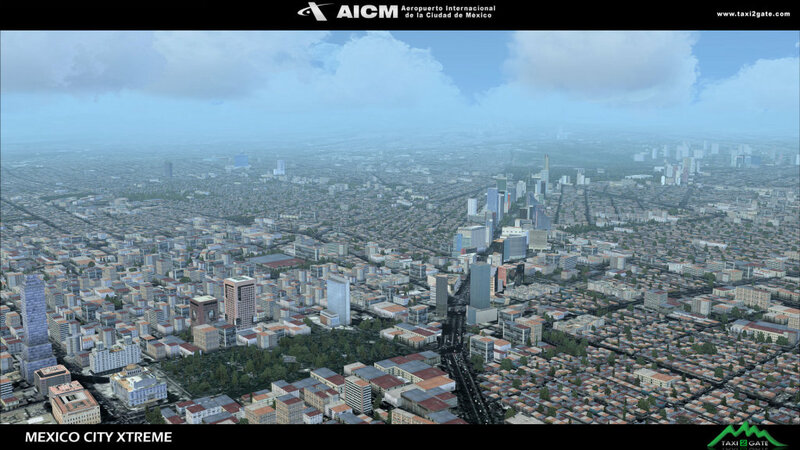 The only thing i can say is that, at least in my computer, it creashes when i activate the toposim mex, but thats no problem, if you have to choose, this scenary is the best pne you can have, its a 100% realistic, you will really be amazed of how beautifull i t looks and how smoothly it runs so... JUST GO BUY IT! 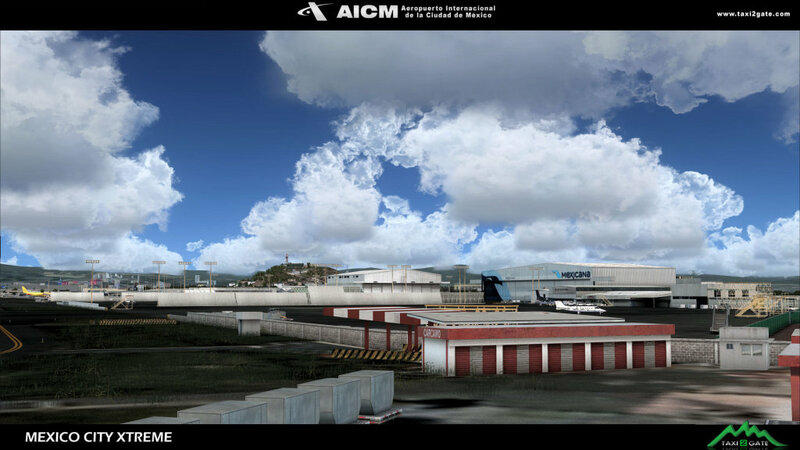 rmance wise it is a dream, no VAS or frame rate drops making MMMX a very suited destination of long flights.
. So I first checked the T2G website for updates and there they were there to address the crashing objects, the UTX compatibility, and a general update to version 1.1. I downloaded all of them, then purchased this awesome package. The installation was straight forward, but the general update needed guidance to place it in the FSX folder - it is set at default program files(x86) which is not where FSX should be in a Win7 x64 platform, so be sure to guide this update properly (I made my own folder and and named it "update 1.1", then transferred all the scenery files straight into the existing one - one cannot be careful enough and I have learned my lesson long ago to always see where things go, lest I pay the price!). With a top end system (i7 6700K @4.8Ghz, Nvidia GTX 980, 16Gb DDR4) and FSX on its own drive, this is still a hungry scenery package. My sliders were all full right (using the PMDG 777) and there were good FPS, but the autogen can cause a few loading stutters in full clear weather, but bring the cloud draw distance (or visibility - or reduce ai traffic) back some and it's very smooth for the amount of scenery you get. With ASN live weather, it's even smoother (visibility in Mexico City is almost always hazy). All in all, this is an excellent package if your system can handle it, or if you're willing to bring back some settings. 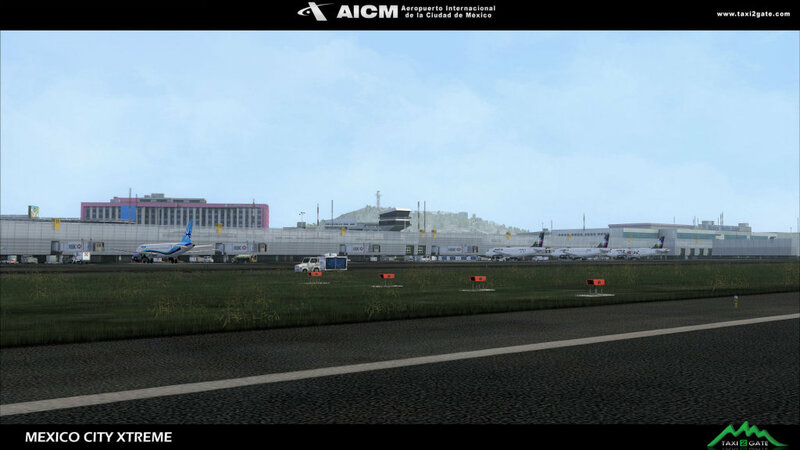 There's a lot of buildings here, including the city and I really look forward to flying my PMDG 777 in and out again. Five stars from me. This is at the moment an unfinished product! Without the update, you get crashes with invisible objects. The update was hard to get due to the Taxi2Gate website being down (which is still down and has been for a very long time). This product is not compatible with UTX. If you have UTX, you get FPS of 5-8 (and I have a high end computer). The same happened when I purchased Taxi2Gate's MHTG airport. The first versions were bad, but after update it was a nice product. I have been waiting for a very long time now for the update, and if Taxi2Gate manages to fix all the remaining issues this could be a very nice product. But till then, I'm giving it just one star. At the moment it's definitely not worth buying! Well this is my first review after 10 years in this hobby. Go get it ! This is a combo between photoreal an Autogen and colours like i have never seen before. Well Done!